•Focusing For Time Trails, Sean McCann, Ph.D. •Performance Advisor Post-note, Training Intensity Arnie Baker, MD. •Training for Lactate Production and Tolerence on the Track Sharon McDowell, Ph.D. •Your Cycling Personal Trainer-Determining How Much Weight You Should Use: Three Choices Allen Hedrick M.A., C.S.C.S. 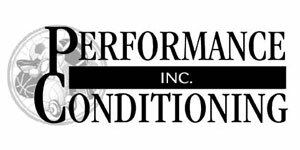 •Performance Advisor Post-note, Time Trial Warm-Ups Arnie Baker, MD.